As a parent or caregiver, you are your child’s first teacher. As such, you are the one who introduces your child to the world, sets rules and guides learning. Just by being you, your words and actions can be a powerful model on how to express emotion, focus, communicate with others, empathize and solve problems. For young children everything is a learning experience! Young children learn by using their senses. They learn as they play with others. They learn as they repeat activities. And they learn as they explore novel environments. 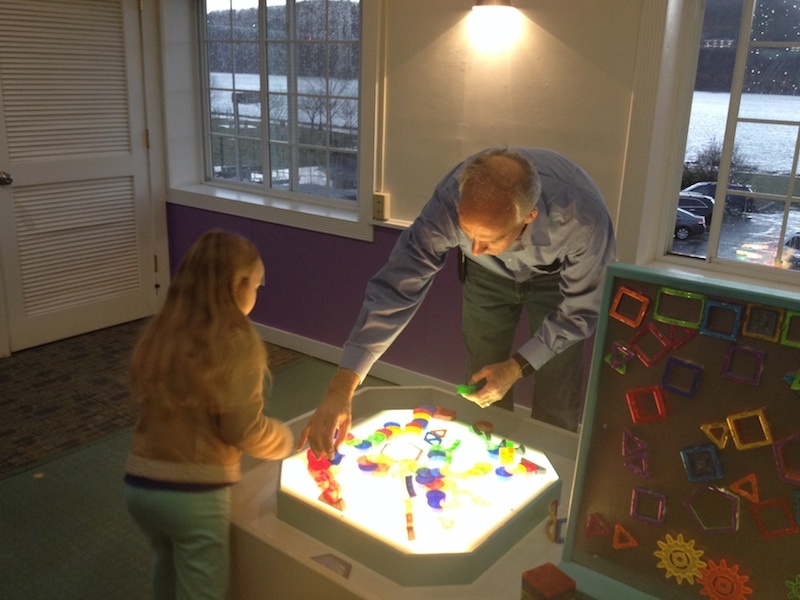 The Mid-Hudson Children’s Museum is your resource – designed specifically to help you help your child learn and grow. Each of our exhibits and educational programs build upon tested child development principles to support early learning and foundational skill development. We invite you to get down on the ground, play, get messy and be a full partner in your child’s learning. And after you explore the museum with your child, we hope your feel empowered to engage in continued learning at home.